We’re so excited that the book we wrote is now officially out! It’s called DIY Cocktails, and it tells you everything you need to know to create your own cocktails from scratch using your own recipes. Of course, we included some of our recipes in there. Here’s one that is a simple and satisfying twist on a Vodka Tonic. The Black Rose has the fruit and herb flavor that will help you ring in this beautiful Spring weather! 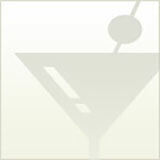 The flavored syrup tastes great without vodka, if you’re looking for a non-alcoholic treat. Enjoy this sneak preview from our book! And then … head over to Amazon and order yourself a copy! In addition to the great cocktail advice and recipes, it’s filled with the beautiful photography of Jackson Stakeman. Pour vodka over ice in a highball glass. Then add soda and stir. 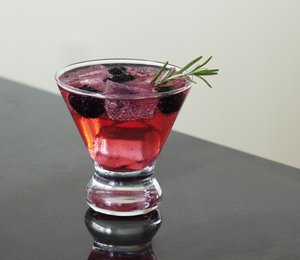 You make the blackberry-rosemary soda water by combining syrup and club soda. To make the syrup: Bring 3/4 cup blackberries, one-quarter cup rosemary, one cup sugar and one cup water to a boil. Then reduce heat and simmer for 5 minutes. Remove from heat and let steep for 10 minutes. Strain out the solids and keep the syrup in the refrigerator in a sealed glass container. To make the soda water for cocktail use, combine the syrup and club soda. You can adjust the amount of syrup to suit your taste. Photo courtesy of Jackson Stakeman.